Grain free, primal, gluten free and low carb. 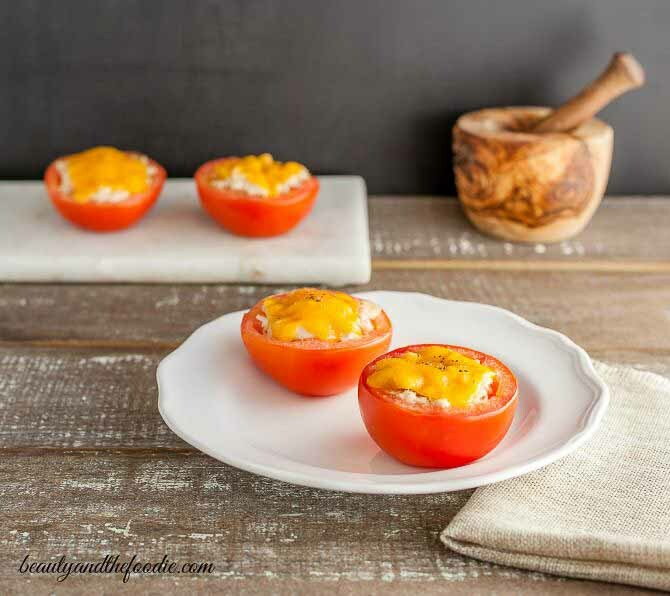 Tuna Melt Stuffed Tomatoes are a grain free, primal, low carb tuna melt without the bun and the carbs. 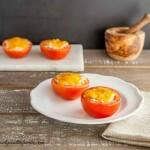 Hollowed out tomato halves filled with tuna salad and topped with melted cheese. These are an easy, high protein, low carb alternative to the sandwich. Preheat oven to 400 F, and line or grease a baking sheet. Cut tomatoes in half and use the bottom half of tomatoes. 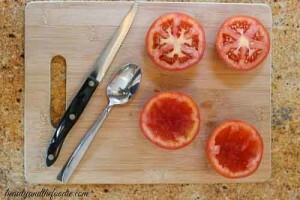 Using a knife slice around the inner edges of tomato halves and with a spoon, scoop out the center of tomatoes. Be sure to dump out all seeds, pulp and juices. Turn tomato halves over on a plate to drain. In a medium bowl combine all the remaining ingredients except for the cheese slices. Mix together and break up tuna into flakes. Mix until combined. 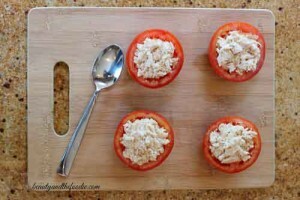 Turn the tomato halves over and fill each hollowed out tomato with tuna salad mixture. 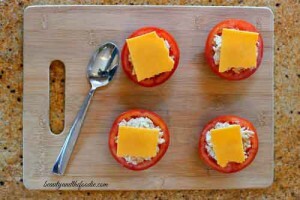 Cut the 2 cheese slices in half and top each tomato with cheese. Bake for 15 minutes. Remove from oven, cool and serve. Nutritional Data: Servings: 4, Serving Size: 1, Cal: 170, Carbs: 3.5 g, Net Carbs: 2.5 g, Fiber: 1 g, Protein: 13 g, Fat: 12 g, Sugars: 2 g.
are you suppose to eat this warm or cold? I prefer them cold, but I suppose you could eat them warm. These looks wonderful! Perfect for a nice light and quick lunch. I will be making these real soon, Thanks. Hi Lisa, auto-correct got me and my bad eyes again, lol 🙂 Thanks for letting me know. why just use the bottoms – what about the top half of the tomato? You can use the top half if the tomato is big enough to make two. Yes! 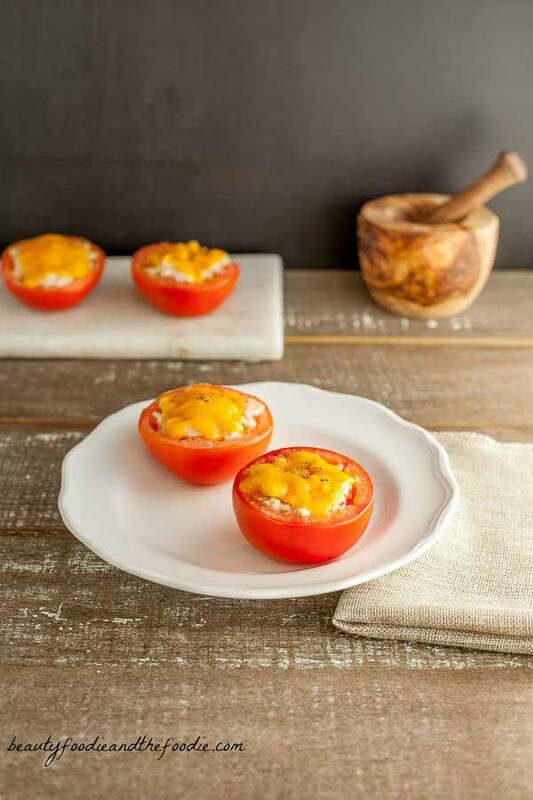 Tuna stuffed in tomatoes with cheese – does it get any better than that? !